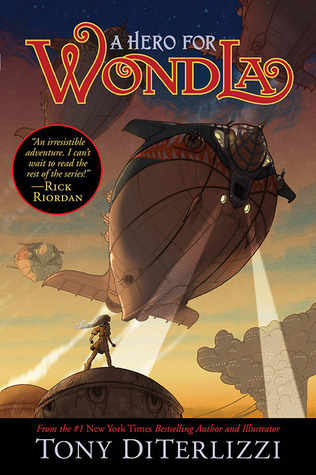 A Hero for Wondla starts off where the last story ended when the human pilot, Hailey Turner, arrives claiming to have come to bring Eva home. Wise, loyal Rovee agrees to join her on this fantastic journey. He believes his place is by Eva’s side. Although Eva occasionally finds Hailey irritating, her excitement at meeting another of her kind quells these feelings. He promises to bring her to the human city, but first stops at his settlement outside. Here Eva meets Hailey’s wise grandfather. His stories ignite the flicker of a doubt in Eva, but those questions soon disappear when the glitter and color of New Attica surrounds her. Through her omnipod, one little machine, all of Eva’s history is known in the city. Because of this she is able to get all she wants and needs, and yet, something does not feel right. Even though Eva is surrounded by her kind and seems to have everything she has ever wanted, she longs for Rovee and his advice. She finds herself alone and afraid, confused and conflicted. Eva wonders why there are no aliens in this city. Why do some in the city have everything, while others have nothing? Why is Eva the only human who knows that something good exists beyond the city’s dome? Why is what exists in the city untrue and so controling? She wonders if she should follow laws to have what she needs if it feels all wrong. Eva knows she is part of the human clan, but her experiences have helped her evolve into something more. It is this difference will save Orbana, the planet Earth has become. What can Eva Nine do for Earth, for Orbana? It is not knowledge of the past, awareness of the future or strength. It takes time to show, but in the end it is the only thing that matters. Enjoy The Hero for Wondla. I hope you will show yourself to be the Eva among us! What courage and calm.